The American College of Physicians (ACP) and the Centers for Disease Control and Prevention (CDC) say that hepatitis B is a serious health threat and should be a public health priority. They recommend screening at-risk adults, increasing hepatitis B vaccination rates, and linking infected persons to care. They have jointly issued new recommendations for care of patients with hepatitis B including screening and vaccination with an aim to reduce chronic hepatitis B infections by screening at-risk adults, increasing hepatitis B vaccination rates, and linking infected persons to care.The guidance has been Published in the Annals of Internal Medicine. All the patients who test positive for HBsAg should be provided counseling and HBV-directed care.Physicians should provide or refer all patients identified with HBV for post-test counseling and hepatitis B-directed care, ACP and the CDC advised. 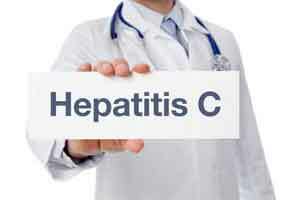 All patients with chronic hepatitis B should be routinely evaluated for hepatocellular carcinoma and treatment eligibility through a history and physical exam.